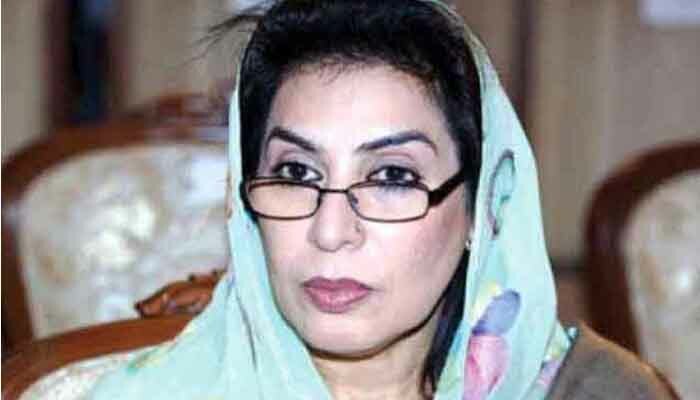 ISLAMABAD: Federal Minister for Inter Provincial Coordination (IPC) Dr Fahmida Mirza Monday urged private sector to come forward and play their role in uplifting sports in the country. Briefing to media persons here at Pakistan Sports Board (PSB) after a meeting with Pakistan Olympic Association (POA) and board officials regarding the performance of national contingent in the Asian Games, she said private sector must help in promoting sports and bringing up talent in the country. She said she will also be inviting the private sector for a meeting for sports development. "We have to work from the grassroot level from schools and the local governments must also play their part in building playgrounds for players so that the talent can come to fore," she said. "We have to take all stakeholders together for the betterment of sports. I will also be giving a briefing to Prime Minister Imran Khan on Tuesday regarding the funds needed in sports and to uplift the talent from grassroot level,” she said. The minister said Prime Minister Khan wanted to see sports growing in the country and all measures would be taken in this regard. She said "there won't be any comprise on merit and selection will be done on purely performance. "National Sports Policy will be formed by taking all stakeholders into confidence," she said and added that we all had to work together for sports. Responding to a question, she said she had asked for the criteria set for the appointment of PSB DG. "Asian Games medal winners will be honored soon," she said. Speaking on the occasion, POA President Lt.Gen. (R) Syed Arif Hasan said it was a very fruitful meeting as the minister had called all the stakeholders and took their views for uplifting sports. "The main focus should be the grass root level development and to keep sports as a physical education in educational institutions," he said. He said a long term plan must be formed in order to hunt talent and bring them to fore. Responding to a question, he said we will see that the National Games are held in Baluchistan. "The delay in the Games was due to the venues not ready for the Games in Baluchistan," he said.